Ok, so I’ve never finished my granny square blanket. Im not giving up on it – no way – I just do more crocheting in the winter when I hibernate in the house and watch alot of movies. Summer leaves me wanting to sew for some reason. I was looking at some new projects to take on, but the thought of buying more fabric gives me anxiety. 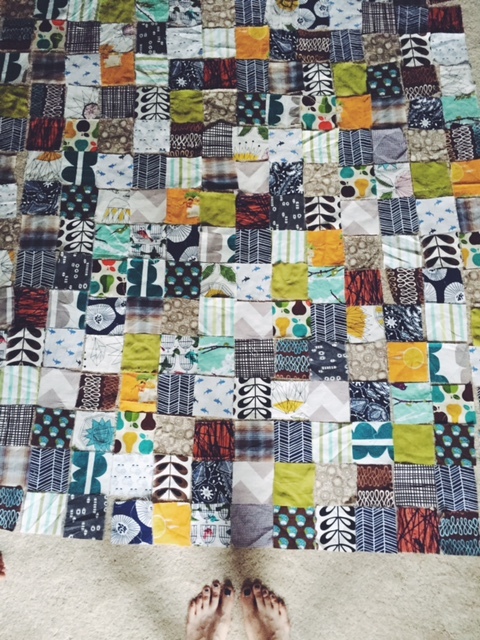 I wanted to do something to use up the fabric stash i have, so I had the idea to make a quilt. I started sorting my fabric and notice I had alot of blue, brown, green and grey type of stuff so I went with those. Alot of it is leftover scrap fabric. Decided to go with 3 1/2 in squares; updated my rotary blade, bought a long acrylic ruler and went to town on cutting squares. This is made up of fabric scraps from previous projects, old sheets, old shirts, old pants and new fabric. 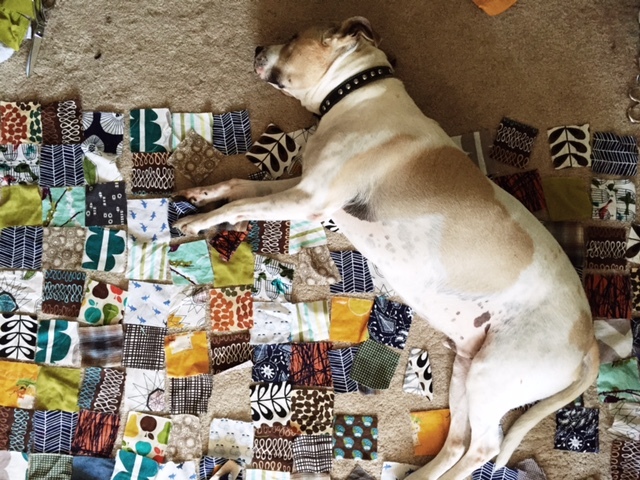 I thought I would make a baby sized blanket; but then realized I have so many squares cut, might as well make a bigger one for milo. Plus its my first one, probably not going to be well done enough to give away anwyays. 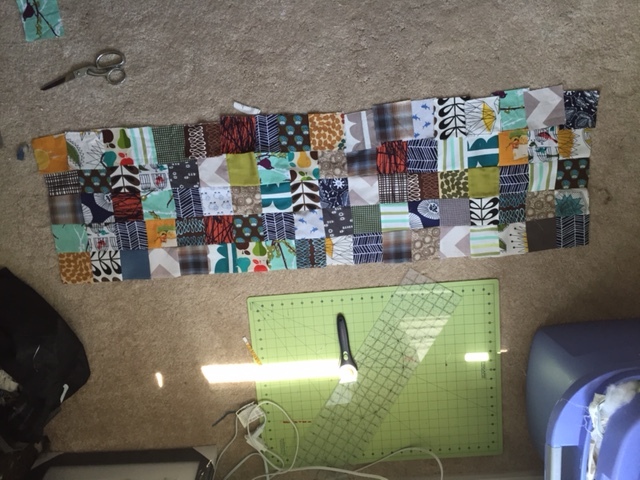 So i got all my fabric cut and laid out and you know what?….this hardly put a dent in my fabric stash! Doh! I used up alot of the smaller scrap pieces I had but I feel like i put back just as much as I took out. I think I see more quilts in my future. Heres everything laid out and ready to sew! 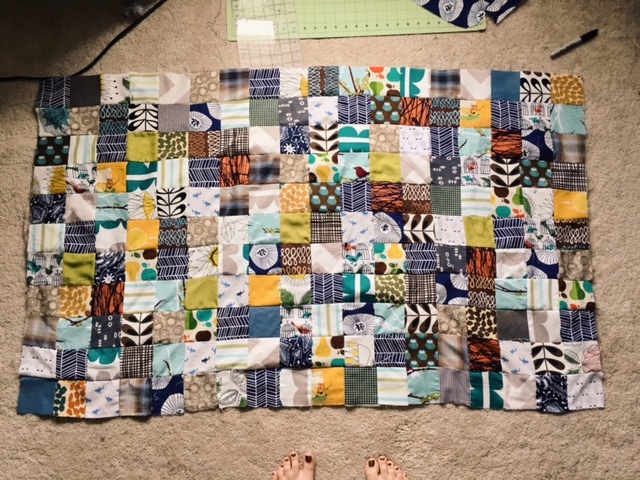 I started sewing some squares and then rows together. I found that putting washi tape on my machine as a guide to keep a 1/4 inch seam allownance helps tremendously. Also when pinning the rows together, MAKE SURE to pin the seams. My seams arent perfect, but so much better now that I have been doing this. Here is my progress after week 1! about eight more rows to go…Then Ill decide if I’m going to add more…. And as you can see here, the quilt is already a hit! More updates to come…. My mother-in-law recently unloaded a lot of random craft supplies on us, and in there we found a BIG tub of various beads. 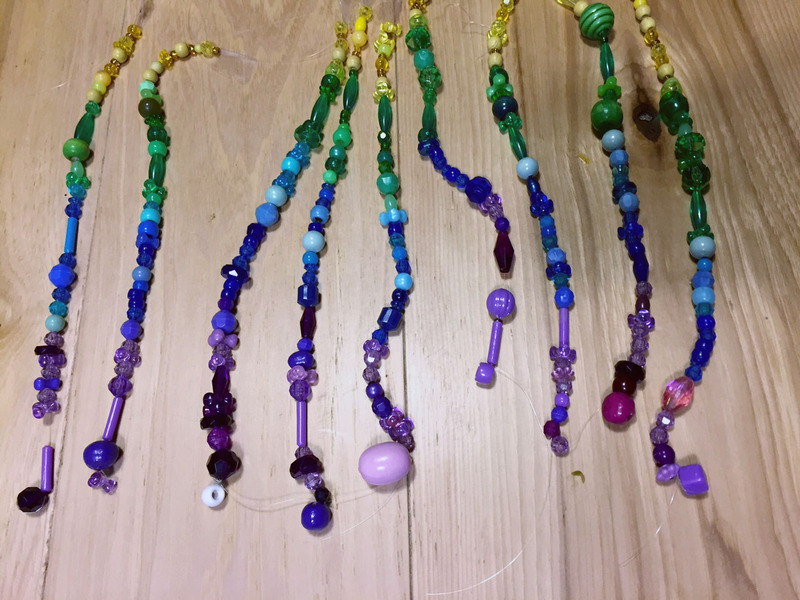 One evening a friend and I started stringing them and came up with the idea to make these little suncatchers. 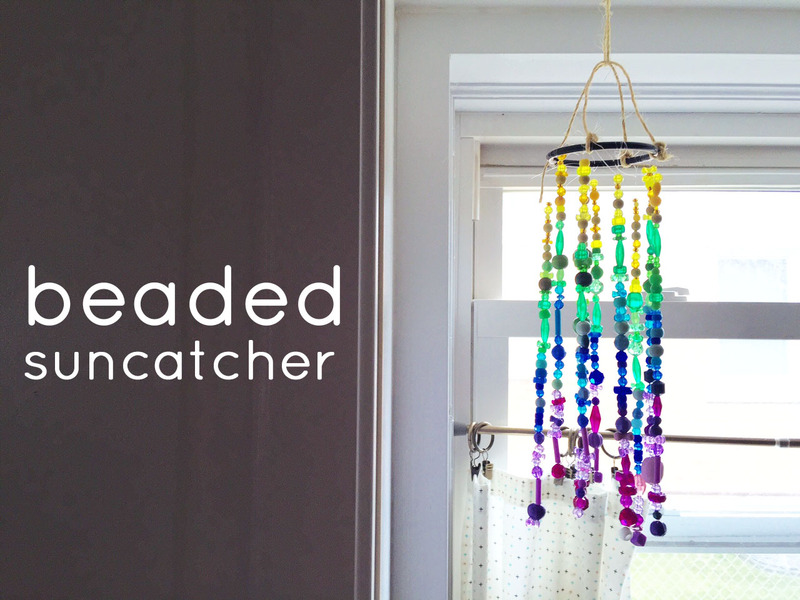 String beads on the fishing line and make a bunch of strings of beads. When you are finished, tie them along the perimiter of the bracelet and cut loose threads. Tie string or twine to the top for hanging. Hang it and marvel at the lovely colors as the sun hits them. I recently took a trip to portland and, as to be expected, ate the most incredible food. One night we went to one of the food truck parks and I chose the vegan bowl at Hawaiian Grill. It was pretty tasty! It was red beans, brown rice, kimichi (the kimchi was SO good and spicy! ), pickled cucumbers, avocado, spinach and drizzled with peanut sauce. I figured I could try to make a version when I got back and I took a stab at it. 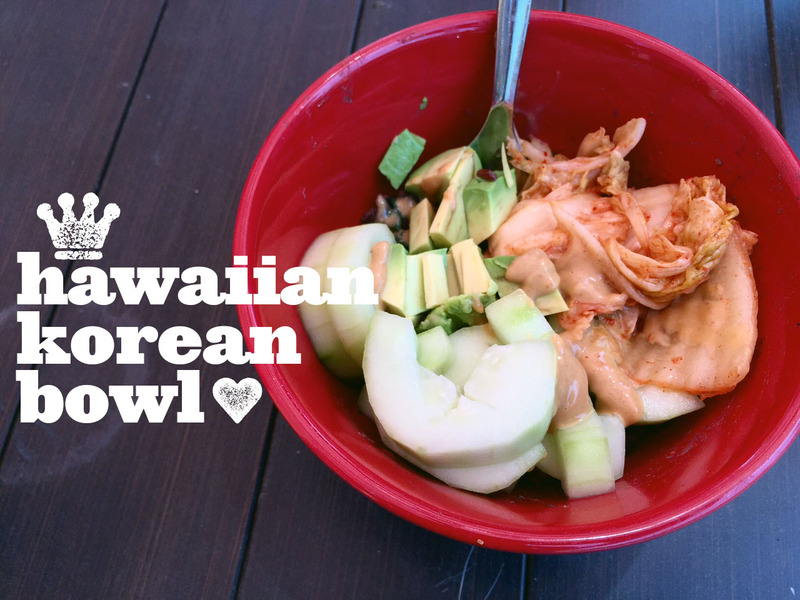 I have been trying to figure out more ways to eat kimchi, and I can add this bowl to that list! hot water to thinPut in a mason jar and whisk together. Refrigerate until ready to use. Put rice and beans in bowl; Add cucumbers and spinach. Add some peanut sauce; top with kimchee and avocado and sprinkle with seasame seeds. 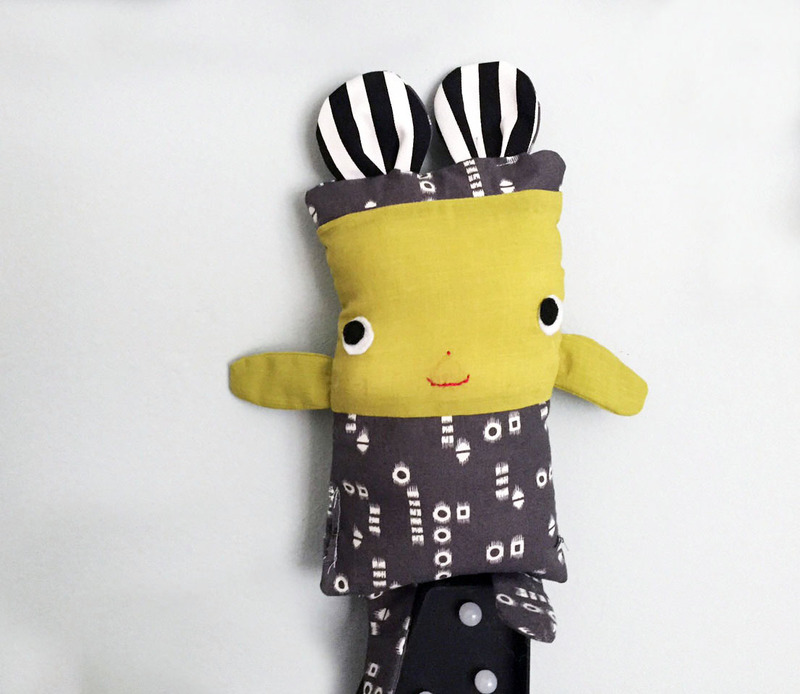 Remember when I made this rice bag plushie? I made another one, but used stuffing this time! I actually made two – i brought one to my friend’s baby in Japan and recently gave the one above to a friend’s daughter for her birthday. I love making these little guys! The pattern is found in this book, which is still one of my all time favorite craft books! Its such a great way to use up fabric scraps! I bought a rhubarb plant at the end of last season for a few dollars and now I currently have way more rhubarb that I know what to do with. I gave alot of it away, but have about 8 more stalks left or so. 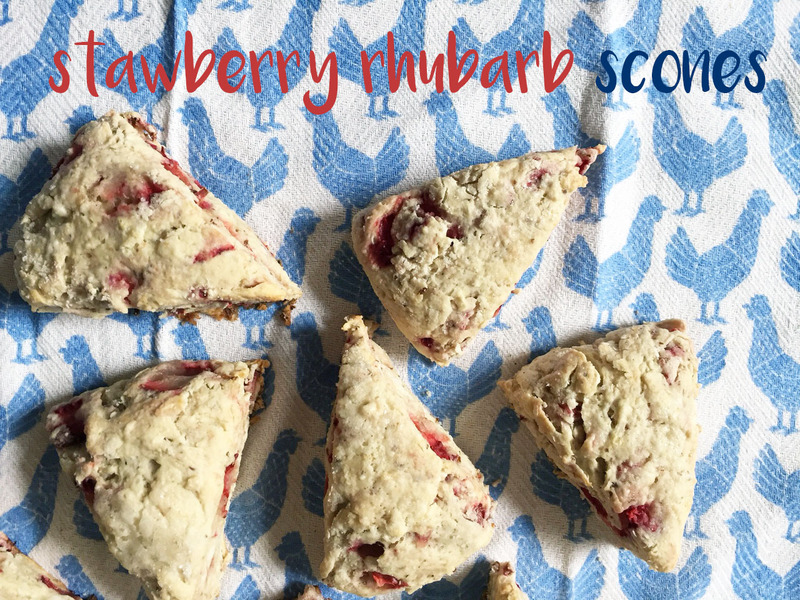 I took a stab at making these scones, which used only about half a stalk of rhubarb, so Ill probably make some more scones and freeze the rest. But these scones. Whoah. These scones are delicious. Finally the texture is right on, without having to have a million tablespoons of earth balance. 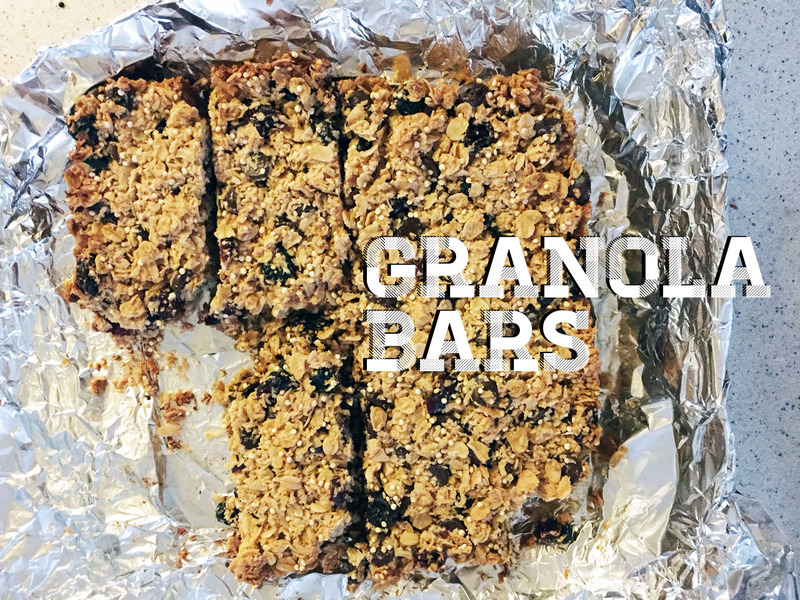 These only use a 1/4 cup of coconut oil – I do want to play around with them a bit, trying to use a healthier flour, or possibly oat flour – but all I had on hand was white flour, and that seemed to do the trick. Preheat oven to 375˚F. Grease a large pan with oil or line with parchment paper and set aside. In a large bowl, whisk together the flours, sugar, salt and baking powder. Pour in the liquified coconut oil and use a pastry cutter to work the oil into the flour. Add the strawberries and rhubarb and toss to combine. Create a well in the center of the mixture and pour in the almond milk. Scoop the dry ingredients from the bottom of the bowl and fold over the wet ingredients. Repeat this just until the mixture is combined. Do not over mix the dough. Firmly pat the crumbly dough into a large circle on the prepared surface, making it about 2″ thick. Brush the dough with milk and sprinkle with vanilla sugar. Cut the dough into eight triangular segments and transfer to the prepared baking sheet. Bake at 375˚F for 18-20 minutes, or until golden on the edges. My good friend got married this past weekend and milo made her this watercolor painting as a gift. We put it in a vintage frame and wrapped it up. 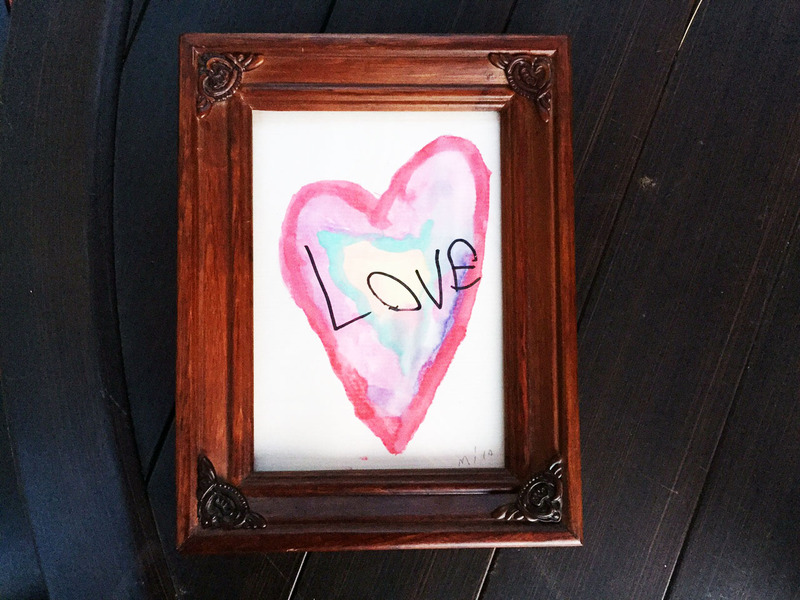 I drew a heart very lightly with pencil, then had him outline it in red watercolor paint. Then he filled in the middle using different colors and blending them together. Once it was dried, he used a sharpie to write “LOVE” across it. Then he signed the bottom and I took care of framing it. Thinking we might need one for our house!